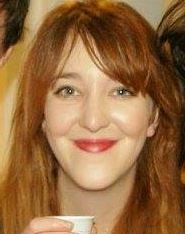 Holly Baxter is Deputy Editor of Comment at The Independent, as well as a long-term columnist and Twitter Enemy Number One for men's rights activists. Previous to that, she wrote regularly for The Guardian. In 2012, Holly co-founded The Vagenda website with Rhiannon Lucy Cosslett during a brief stint of living in Rhiannon's airing cupboard, and they went on to write The Vagenda book together. She has also ghost-written a celebrity autobiography. Holly is currently working on her first novel.